One of the best known American writers of the 19th century, Edgar Allan Poe, has finally been given the kind of funeral befitting a literary giant - 160 years after his death in the city of Baltimore. Edgar Allan Poe, the author, poet, literary editor and critic, was hardly undiscovered when he died in 1849. His funeral though was attended by only a handful of people and lasted just three minutes. It seems his next of kin, a cousin named Neilson Poe, had neglected to announce his death to the world, or even to his family and friends. Now though, 160 years later and in the 200th anniversary of the year of his birth, many present-day fans, aided by the city of Baltimore, have staged the sort of funeral deserved by a literary great. A replica of his dead body was transported in a coffin on a horse-drawn carriage to a burial ground where two packed out ceremonies took place featuring musical performances and several speakers who gave the eulogies missing at his first funeral. 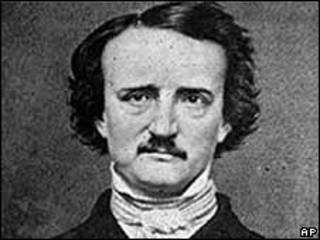 After more than a century and a half, Edgar Allan Poe, author of the poem The Raven, leader of the American Romantic movement and inventor of the detective fiction genre, finally got the send-off he deserved.